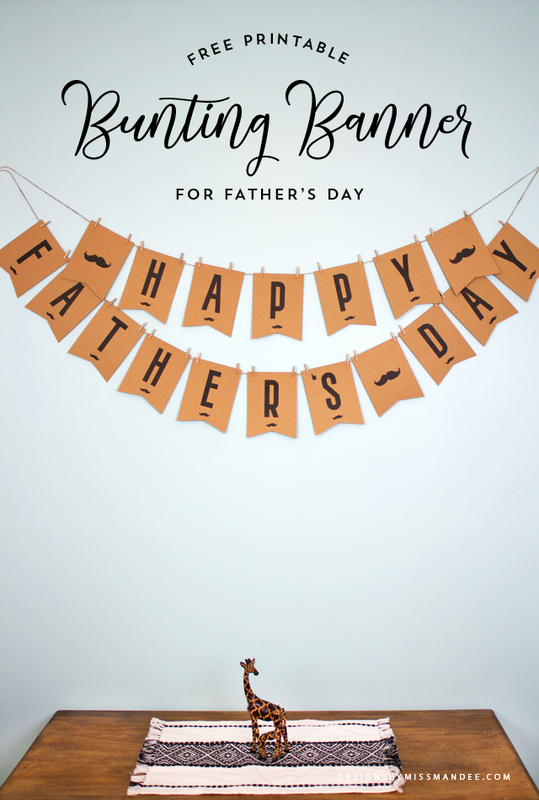 Dad’s day is coming right up! Have you already gotten gifts for the awesome men in your life? If not, you can never go wrong with socks. In fact, last year, I shared a fun printable that pairs perfectly with some cozy socks. 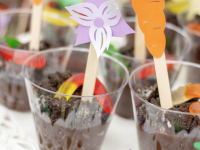 And, today, I’m sharing another printable I think you’re going to like! 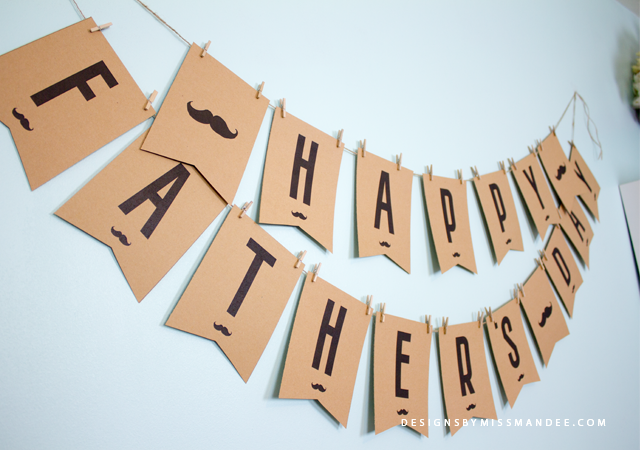 Make dad feel extra special this year with this cute and simple Father’s Day bunting banner. 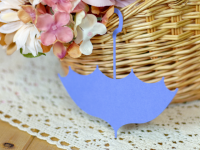 Garlands and bunting banners are such an easy way to decorate for an occasion! And they are simple enough to put together that the kids can help out too. Well, not my kids; since one is a 3-month-old and the other is a 3-year-old that has absolutely no interest in doing anything crafty (much to my chagrin). 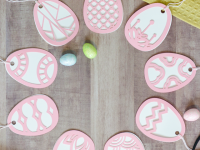 But maybe you have children slightly older and slightly more interested in doing crafty things. The mustache I used on these buntings actually comes from the hand drawn hipster graphics pack I shared way back in the day. That’s the fun thing about having a growing collection of graphic elements: I can easily pull from designs I’ve already created to dream up something new. If you haven’t seen the tie clip art collection I shared earlier this week, be sure to check that out as well! In that post, I also share a random assortment of memories I have of my dad and grandpa, so enjoy that as well. 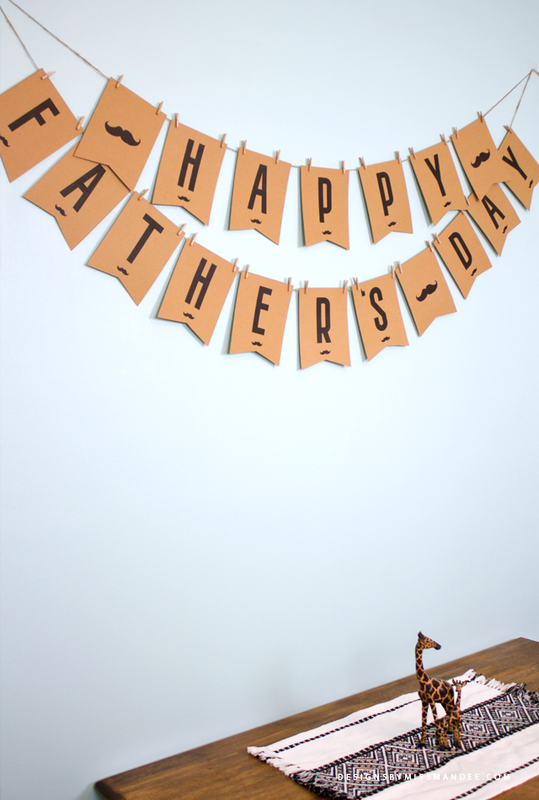 Have fun putting this Father’s Day bunting banner together for dad! I’m sure he’s going to love it.